No pictures found for plate number 5AHH261 in California, United States. click here to add a picture. No videos found for plate number 5AHH261 in California, United States. click here to add a video. No owners found for plate number 5AHH261 in California, United States. click here to add an owner. 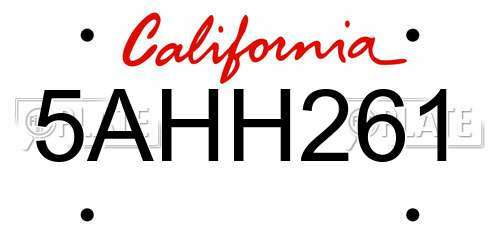 No related websites found for plate number 5AHH261 in California, United States. click here to add a related website. ON CERTAIN SPORT UTILITY VEHICLES, THE LIFTGATE GLASS STRUT MAY BECOME DISENGAGED OR THE HINGE MAY FRACTURE ALLOWING THE GLASS TO FALL AND POSSIBLY BREAK. THIS IS NOT A SAFETY RECALL IN ACCORDANCE WITH THE SAFETY ACT. HOWEVER, IT IS DEEMED A SAFETY IMPROVEMENT CAMPAIGN BY THE AGENCY. 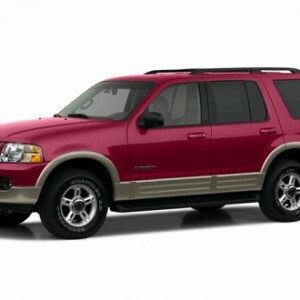 VEHICLE DESCRIPTION: 2002 FORD EXPLORER AND MERCURY MONTAINEER SPORT UTILITY VEHICLES. THE BRACKETS CONNECTING THE LEFT CYLINDERS TO EACH SIDE OF THE LIFTGATE GLASS COULD ROTATE OUT OF POSITION IF EITHER THE URETHANE BOND OR TORQUE ARE NOT SUFFICIENT. VEHICLE DESCRIPTION: SPORT UTILITY VEHICLES. THE RIGHT SIDE TIRES MAY HAVE HORIZONTAL CUTS ON THE EDGE OF THE TREAD THAT COULD HAVE OCCURRED DURING VEHICLE ASSEMBLY.